Scorpo Wines is thrilled to be a part of the ‘Road To Lyon’ culinary journey of the Mornington Peninsula with Chef Michael Cole at Zigis Bar in Flinders. Our wines will be matched to a 4 course meal on the 22nd of November, and the event is already Sold Out! There are 3 other dates also, each featuring a Mornington Peninsular Winery. 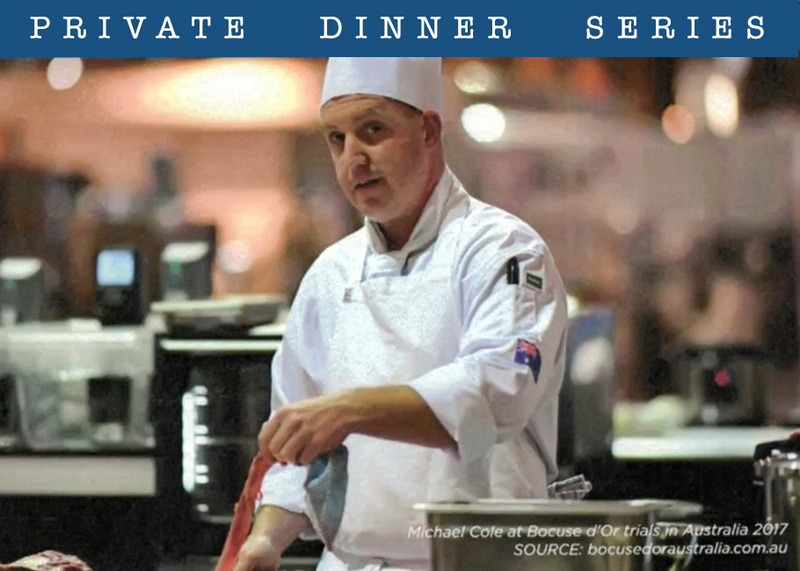 Contact Kate Poole on 03 59890201 or info@flindershotel.com.au for more information. Join Head Chef Michael Cole and his team as he journeys down the ‘Road to Lyon’ to compete against the world’s best chefs in what is internationally regarded as the Culinary Olympics. Wildly talented and defining the culinary journey of the Mornington Peninsula, Michael is taking his passion for our region to the world stage, representing Australia at the Bocose d’Or World Championship in Lyon in early 2019. For 4 nights only, Flinders Hotel is transforming Zigis Bar into an intimate shared table dining room, where you’ll experience the culinary magic of Michael Cole. A premium Mornington Peninsula winery will join us at each dinner to perfectly match regional wines to Michaels exquisite menu.